Marking special moments as a community. Our lives are made up of unique and unforgettable days—days of life, love and loss. Gathering together with members of our community, we mark these powerful moments through the rituals of music, scripture, celebration and, sometimes, through mourning and remembrance. 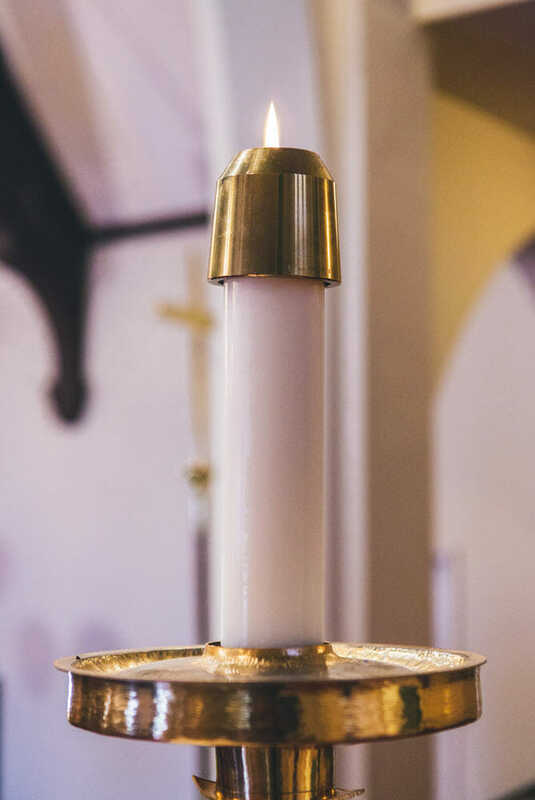 Whether it’s baptism, two people entering marriage or a life remembered, by illuminating these moments we acknowledge and deepen their meaning for our lives and our faith. Read on to learn more about life events at Our Redeemer’s, or get in touch with Pastor Kathy or Pastor Gretchen to start a conversation about your upcoming day. Grace, grace, and more grace. God loves us like a parent unconditionally loves their newborn, long before it can talk, reason or return their love. The theological word for this kind of unconditional love is grace. In baptism, God declares God’s love for us. So, baptism isn’t about what we do, it’s about being embraced by and immersed into God, who is faithfully loving us into becoming who we already are: the beloved children of God. We baptize infants, children and adults. Parents of infants and children are asked to promise to nurture their children in faith. This includes a commitment to participate in a Christian community of faith. 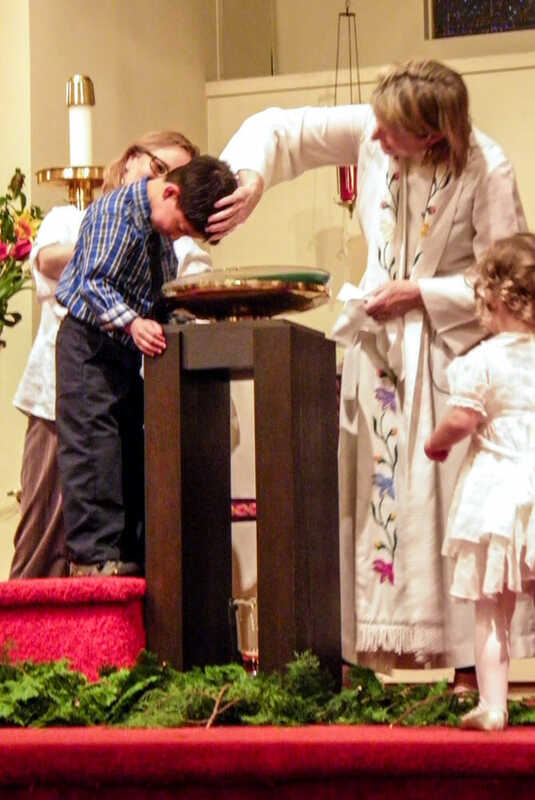 Most baptisms take place on festival Sundays: Baptism of our Lord (January), Easter Vigil (the night before Easter) and Pentecost (late May or early June). The whole church welcomes and makes a committment to support the person in faith. A workshop is usually held a week or two before the baptism. Please contact Pastor Kathy to find out more. Your wedding day is one of the most wonderful days of your life. It is the prelude to a lifetime bond of partnership and growth. Premarital counseling is part of Our Redeemer’s gift and responsibility to you as you prepare for marriage. Weddings for people of all sexual orientations are happily performed and fully supported. And we can help you as much as you’d like in creating your ceremony. Be as innovative as you want, or stay traditional. Hold it within the church or at another location. 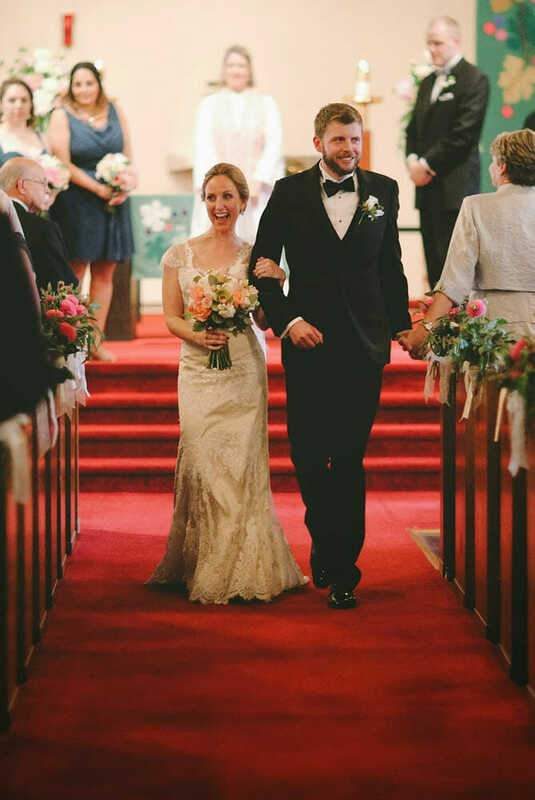 Weddings here are times of worship, of calling on God to be present and bless your union. Non-member weddings are also welcome. However, due to a busy slate of congregational activities, we cannot put non-member ceremonies on the calendar more than ninety days before the wedding date. A wedding coordinator, musicians and reception space are all available. For more information, fees or scheduling, please contact Nancy Oldenkamp. Memorial services and funerals give us a chance to thank God for the life of someone we love, to gather and grieve with others and to be comforted by God’s presence and promises of life beyond this life. Services are generally quite simple and have stood the test of time. Music, remembrances and scripture speak to who this person was and their unique place in our lives. Pastor Kathy can help guide you and your family through this difficult time, and our church staff are here to help in any way we can. Soloists, a pianist, an organist and a reception coordinator are all available. For more information about fees or scheduling, please contact Nancy Oldenkamp.